I do not remember his TV show...maybe we did not have a TV at that time?? I best remember Nanette Fabray as his female foil. She succeeded Imogene C.
Ceasar was a powerhouse with a terrific supporting cast. All these live TV comedy shows kept you on the edge of your seat because you never knew when something would break down and they were all great improvisers! 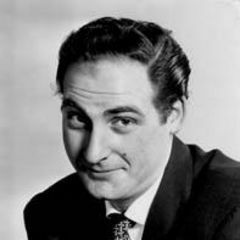 I would guess that Sid Caesar was Milton Berles prime competition. He and Imogene Cocoa were histerical in the 50's. Jerry Seinfeld of his day. In todays troubled world, they would not be considered humorous. But in the innocent days of the 50's, they would keep you laughing for the whole program.